As I read the article on Alex from Target, it was very unexpected and surprising. This all happened to an ordinary guy simply because some girl thought he was cute. The fact that she tweeted this picture and it had that many re-tweets is remarkable. The world got to see first-hand exactly what social media can do. It can make people famous. I think there are many ways social media can turn ordinary people into celebrities. For example, Justin Bieber getting famous over Youtube. All he did was post his music and it took one person to notice his talent and good looks and make him a star. 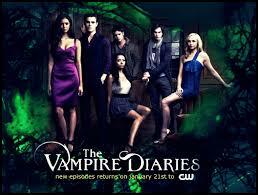 I also was watching the Vampire Diaries interviews they had after one of there shows aired with all the cast present. The audience actually asked them the question, “what advice do you have for the people in the audience who want to be famous actors like you?” Their responses were just ordinary like anyone else. They simply said sometimes you get lucky. The answer no just simply means not yet and to keep trying. One actor in particular Ian somerhalder said, “You really just have to keep trying and have confidence in yourself. I blew one of my additions but I kept trying and asked for a retake because I knew I could have done better.” I think the cast answered that question from the audience amazing. People watching could really relate just because they all had their fair share of no and getting turned down , but one day someone said yes and they got lucky. The moral of my blog today is just to keep trying and never give up who knows one day someone could say yes and you could be famous. Maybe you could be an extra on Vampire Diaries. A recent story that drew my attention was about an athlete. 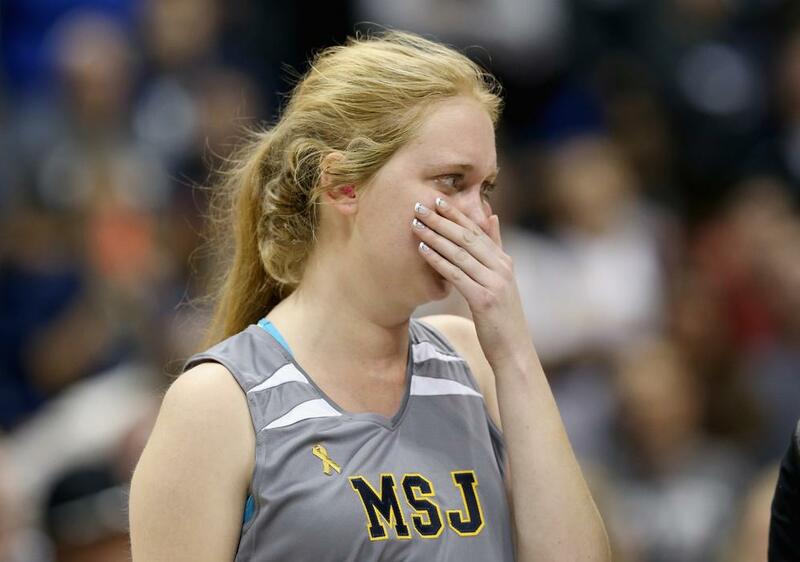 A college basketball player by the name of Lauren Hill a 19 year old freshman is fighting a cancerous tumor. The doctors told her she would not live through December. As hard as that was to hear that would not stop her from playing the game she loves. The game was two weeks away when she found out she had a tumor. Not knowing what condition she would be in on game day, she fought every day up until Sunday and was able to play in her game against Hiram College. Despite, experiencing headaches and nausea everyday she played through the pain. Hill practiced her layups every day during practice with her left hand because her right side was too weak to shoot a basketball. She wanted to have one last opportunity to play the games she loves and score. The team practiced a play for weeks to get Hill the ball so she could score the lay in she had been practicing so hard at with her left hand. The stands were crowded with 10,000 people there to support Hill. The 19 year old college basketball player story has inspired a lot of people all over the world many by her courage. Hills, goal was to play in Sunday’s game and raise money and awareness to fight DIPG. She later accomplished her second goal by attending many social media events sharing her message. As far as raising money hill asked colleges to donate #22 jerseys so she could donate them and raise money for others that have cancer. 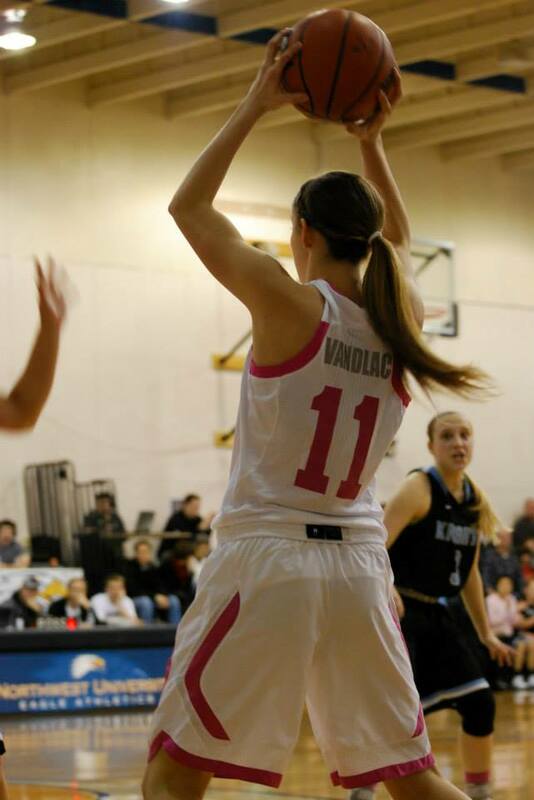 She also launched her own campaign “layup for Lauren”. This campaign was to have people spin around 5 times and shoot a lay in with their off hand. The goal of this was to give others the challenge that Lauren has because of her condition. If you miss the layup you must donate 10 dollars to cancer research. 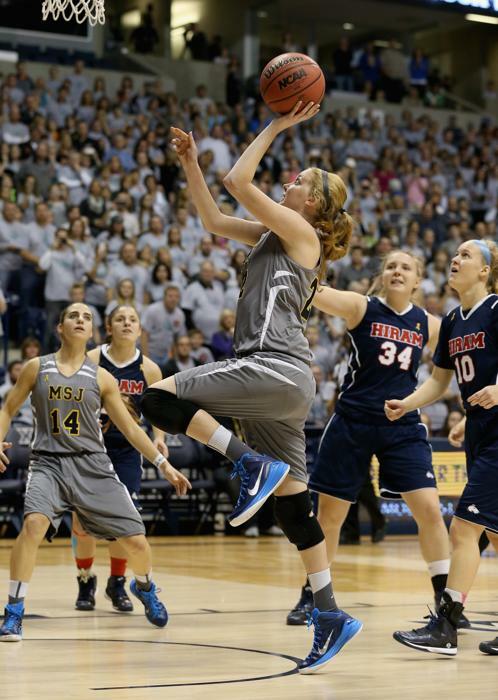 After Hill’s layup in an interview she said “I’ve never felt so good in my entire life”. Source: “Basketball Player Dying of Cancer Sinks Layup in Inspirational College Debut.” Yahoo Sports. N.p., n.d. Web. 02 Nov. 2014.
. Everyone has a dream that starts out when there little to be dolphin trainer, a nurse, or even a professional basketball player. As we grew older our dreams became more of a reality. For me my dream was to play sports at the college level. This has been my dream since I can remember in 4th grade. I started playing both volleyball and basketball and never gave up and continued all the way up until high school. I have always had that dream in my head and would do anything and everything to get it in the palm of my hand. High school began and tournaments and competitions became more and more serious. That dream was closer than I have ever imagined. Sending out game film and highlights to nearby schools hoping they would offer me a scholarship for one or both sports made it seem so surreal. 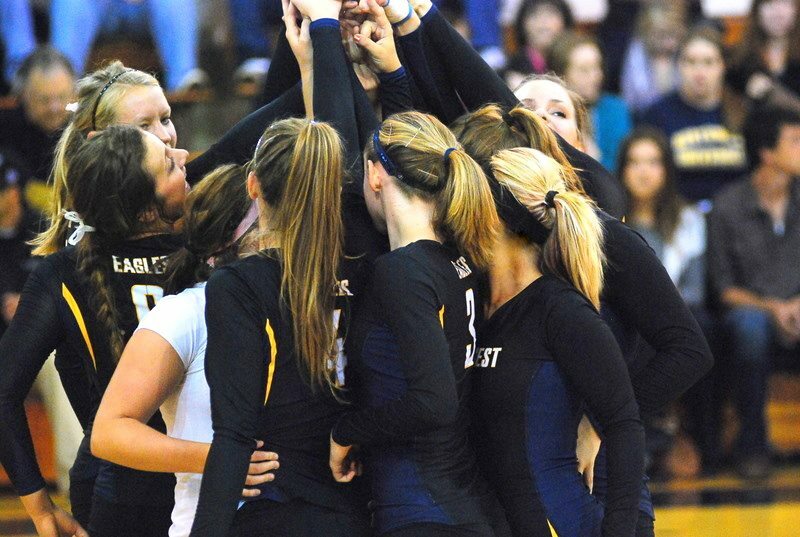 My final time in high school for volleyball we went to playoffs and took 8th. As for basketball we went to state and took 7th place, I had the game of my life scoring 16 points in our final game. That was a moment I will never forget, I remember coming out of the locker room and having 4 offers from community colleges and colleges. Unfortunately they were all over two hours away and I couldn’t bear not to see my family very often. So denying offer after offer I received a letter from Northwest University. They offered me a scholarship to come play volleyball. I was ecstatic Northwest was at the top of my list because it was only 45 minutes from my family and I enjoyed the community as well. So my dreams of basketball seemed at this point to be over, but I accomplished the dream of playing college volleyball at an amazing school. 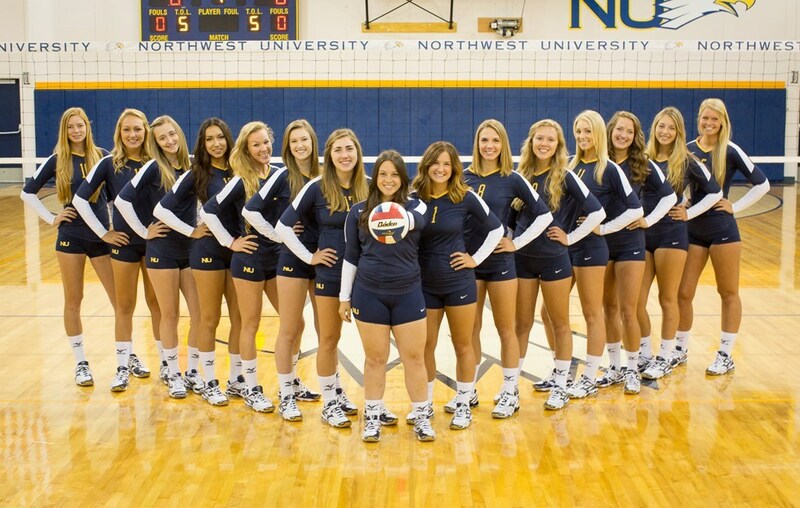 After a year at Northwest University playing volleyball, my heart just didn’t seem complete. I found myself going to the gym late at night just to have a basketball in my hand and be able to shoot around. The following year my sophomore year after my second year of volleyball, I decided to go talk to the basketball coach and see if I could give her my highlight video and walk on to the basketball team. She accepted and watched my video and asked if I wanted to come to a practice to see my skills in person and make sure I mesh well with the other players. After a couple days she offered me a spot on the team, it wasn’t until my following year I got offered a scholarship to stay and be a part of the basketball team. I finally had my dream come true. It took a lot of hard work, effort, and determination to get where I am today. The only reason I kept going was because of my family always believing me and giving me the heart and perseverance to keep striving to be the best I can be. Throughout my experience I came to realize you can dream, and that dream will always just be a dream unless you set your mind to it and go after it. I believe dreams come true. Dreams are your heart telling you to go chase after it. My most recent passion that surfaced is my interest in Forensics. This summer I started watching CSI Miami, most would find it groce with all the crime scenes and dead bodies. I found it quite interesting, just how much time goes into every crime scene to figure out the mystery. Is what drives me to study Forensics further. I am really interested in the Ballistics area of Forensics. Ballistics is the use and studies of fire arms. The wound in a victim can tell alot about what firearm was used to commit the crime. For example, each gun has unique identifying features even if the gun is not left at the crime scene. Each weapon barrel contains different grooves. When the bullet is fired it makes a unique mark on the shell casing. This can be used to determine the make and model of the gun used at the crime scene. Also what is very interesting to me is a lot of the evidence found in the ballistics are of Forensics is used in criminal proceedings and can prove a link between not one but many different crime scenes. This is a recent passion of mine but, after my senior year here at Northwest I plan to go to Seattle University and minor in Forensics and hopefully get a job in Ballistics. This will take more time then I originally wanted in school but, I think having a major in communications and a minor in forensics will look really good on my resume when I apply for my job in this field. My pictochart is about coconut water. I find it very interesting how healthy and good for you coconut water actually is. It has plenty of nutrients for your body, that keep you rejuvenated throughout the day. These nutrients include,vitamins, minerals, phytonutrients, amino acids, antioxidants, enzymes and growth hormones. It is proven coconut water has more benefits than regular water. Scientists also do more and more studies on coconut water every day, finding new benefits to the human body.